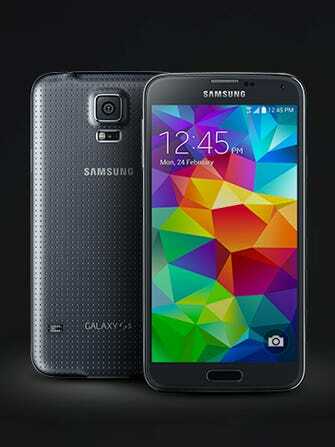 Samsung Galaxy S5 Revealed: Is It An iPhone Killer? Mmmmm, well, no. Look, there's a great divide between the people who love their iPhones and the folks who cling to their Galaxys. No matter what we say, it's unlikely we could ever get you to let go of whichever smartphone you love. That said, it's important to note that, while the Galaxy S5 is surely a step up from the S4, it's not a huge one. In fact, the advancements here remind us a lot of the same sort of add-ons Apple gave us with the 5s. The Galaxy S5's screen is up 2% to 5.1 inches, and battery life has been extended by almost 10%. These are the key three areas where Galaxy fans say their choice beats the iPhone. Processor speed, however, is only up 5% to 2 GHz and remains 32-bit, making it somewhat behind the times. Things shift, however, when you take a look at its new camera. Now clocking in at 16-megapixels, it's twice as powerful than the one on the back of the iPhone 5s — though it's unclear which will be easier to use and which will, eventually, take better pictures. Still, we're gonna give this round to the Galaxy. With the Galaxy S5, Samsung has followed Apple into fingerprint tech. Totally new to the category is an onboard pedometer, which means you may not regret losing your FitBit to recall. Finally, while the iPhone 5s is still the more beautiful-looking product, we are fans of Samsung's new perforated back and the slight tweaks they've made to what was an already well-designed product.